Please note: following the Special Council Meeting on 26 February 2019, some of the information here is in the process of being updated. This news story and this Frequently Asked Questions page contain up-to-date information. The new Shepparton Art Museum (SAM) building will be an outstanding example of exciting, best-practice contemporary museum architecture designed by one of Australia’s leading architects on a remarkable site in regional Victoria. Designed by internationally renowned architects Denton Corker Marshall, the new Shepparton Art Museum (SAM) will be a five-storey building housing the Museum, Visitor Centre, and the Kaiela Art Gallery and Studio. The 5,300m2 building also houses a café and event space, with a roof top viewing deck. A 33m x 33m cube like form, the new Museum is located on the south-eastern corner of Victoria Park Lake to maximise SAM’s greatest asset, the park setting. Four L-shaped plates, each of different heights, make up the building’s façade. Each plate is of a different metallic finish; low sheen zinc to the southern approach; matt soft charcoal above the entry to SAM on Wyndham Street; metallic mid-grey facing the park; and rich ochre-red corten steel facing the lake and river plain. Funding has been revised following the Special Council Meeting on 26 February 2019. For more information about the funding and build stages, visit the Construction - Frequently Asked Questions page. *Timelines are subject to change. Shepparton Art Museum Limited is a registered company limited by guarantee. Shepparton Art Museum Limited is the entity overseeing the Shepparton Art Museum as it moves from Council owned and operated to an independent governance body. Shepparton Art Museum Limited will enter into lease, funding and custodian agreements with Council for the operations of SAM, and will be responsible for managing the building and key stakeholder relationships with Kaiela Arts, the Visitor Information Centre, and commercial operations. 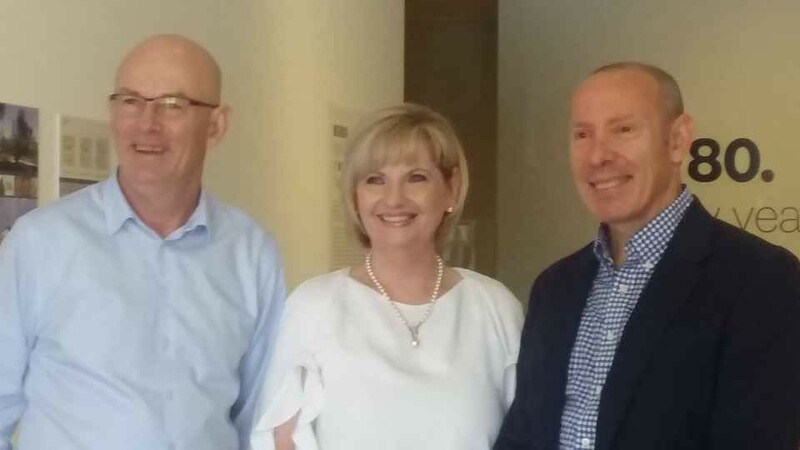 Current Shepparton Art Museum Limited Directors are John Head (SAM Foundation), Peter Harriott (GSCC CEO), and Chris Teitzel (GSCC Director Corporate Services) as company secretary. Shepparton Art Museum Limited is currently seeking six community members for the Board. The Board will comprise nine Company Directors. There will be two Greater Shepparton City Council nominated positions, and one SAM Foundation representative. Board members will be asked to commit to serving for a minimum of two to three years. Directors can serve a maximum term of nine years. The new SAM will operate as a not-for-profit, charitable organisation and the Board positions are voluntary. The SAM Foundation is a company limited by guarantee and its purpose is to raise funds for the new SAM and to grow funds to benefit the SAM collection and program. John Head is the Chair of the SAM Foundation. The Council managed SAM Project Board has 16 members representing Regional Development Victoria, the SAM Foundation, Creative Victoria, Kaiela Arts and Yorta Yorta Nation. There are also representatives of Greater Shepparton City Council from SAM, Planning, Economic Development, Finance, Marketing and Communications, Business Transition, the Visitor Centre and Project Management. The SAM Project Board has a number of subcommittees whose role is to provide in-depth information on speciality areas to the SAM Project Board. These subcommittees include Planning, Finance, Business Transition and Project Management. The Planning subcommittee has completed site surveys, a Cultural Heritage Management Plan, flood modelling and a geotechnical report, a heritage report, traffic report and environmental assessment. The Project subcommittee manage the overall process of the build including timelines for the project. A project manager was appointed in 2017 to manage the build stage of the project. The Finance and Business Transition subcommittees are tasked with managing the budget for the project and the transition between the current SAM and the new SAM respectively. A new Business Transition Manager was appointed in late 2017 to work closely with the SAM Director to manage the transition of business from the current SAM to the new SAM. How will the new Shepparton Art Museum be run? It will be run by a company limited by guarantee called Shepparton Art Museum Limited. It will be governed by a board of directors on which the Council is represented. The Board will comprise nine Directors with designated skills relevant to a significant cultural institution, able to assist the Council in its objectives. Who will own the art collection and the new building? The existing collection will be owned by Council as will the new Art Museum facility, and provided to the Art Museum for a peppercorn rent. The Art Museum may also accept and own works of art, which will enable gifts to the Museum which would otherwise not occur, with private donors often unwilling to give art to a local government entity. When is work expected to commence? Work is expected to commence in March 2019 and is expected to be completed by December 2020.